The thirty-fourth episode of the Yes Music Podcast featuring Volume II of the first live album, ‘Yessongs’. Rick Wakeman – does his solo piece fit in? Steve Howe – what is he doing in Long Distance Runaround? 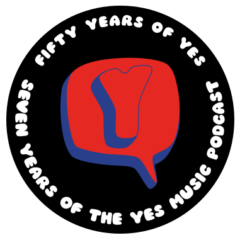 The thirty-third episode of the Yes Music Podcast featuring the first live album, ‘Yessongs’. Does this triple album capture the essence of the live performances of the time? What difference does Alan White make on tracks recorded in the studio by Bill Bruford? Do the live versions of the songs retain the feel of the studio versions? Author KevinPosted on May 11, 2012 October 10, 2016 Categories Episodes, YMP Classic FeedTags Alan White, Benoit David, Bill Bruford, Billy Sherwood, Chris Squire, episodes, Geoff Downes, Igor Khoroshev, Jon Anderson, Jon Davison, live, Nick Beggs, Nik Kershaw, Oliver Wakeman, Peter Banks, Rick Wakeman, Steve Howe, Steven Wilson, Tony Kaye, Tony Levin, Trevor Horn, Trevor Rabin, Yes1 Comment on Episode 32 – Your Yes Fantasy Live! What's your Yes Live Fantasy? In a forthcoming episode, I’d like to feature your ideas of a Yes Fantasy Live event. If you could manufacture an event in the live history of the band, what would it have been? Would you have had Peter Banks actually walking out with the rest of the Union crew? What about Patrick Moraz returning at some point, Rick Wakeman playing keyboards on the Magnification tour, Vangelis joining in the mid 70s or Trevor Horn returning to lead vocal duties in 2011? I have absolutely no doubt you can come up with much more creative ideas. So when you have designed your Yes Fantasy Live event, let me know what it is via any of the methods on the right hand side of the website – email, Tweet, record a message, leave a comment on this blog post etc. UPDATE: Owing to the fantastic response, I’m going to release this episode on Friday 11th May so deadline for your thoughts is Thursday 10th May 2011. Thanks so much everyone! Creative Commons image credit: D.L.